Russian natural gas producer Novatek and Chinese National Petroleum Company (CNPC) have entered into a strategic cooperation for executing the Arctic LNG 2 and Yamal LNG projects in Russia. The deal between the parties was signed in the presence of Chinese Premier Li Keqiang and Russian Prime Minister Dmitry Medvedev. While the Yamal LNG project has been estimated to cost around $27bn, the Arctic LNG 2 could need an investment of $25.5bn. As per the terms of the deal, the Russian and Chinese firms will continue to cooperate closely in the Yamal liquefied natural gas (LNG) project, which is being developed in Sabetta in the Yamal Peninsula. Once fully developed, the Yamal LNG project is anticipated to eventually produce about 16.5 million tonnes of LNG per annum. Novatek and CNPC will also discuss the feasibility of the offshore Arctic LNG 2 project located in northern West Siberia in Gydan peninsula. The Arctic LNG 2 will source gas from the Utrenneye gas field. Apart from the two LNG projects, the partners have agreed to collaborate in different segments of the LNG and natural gas markets like LNG trading and gas infrastructure development. As part of this, Novatek and CNPC will also explore the potential of selling natural gas in China and other countries. Besides, the partners intend to continue with technical exchanges and cooperation in other relevant sectors. Novatek management board chairman Leonid Mikhelson said: “Our companies already have a history of effective cooperation, including the successful implementation of the Yamal LNG project. 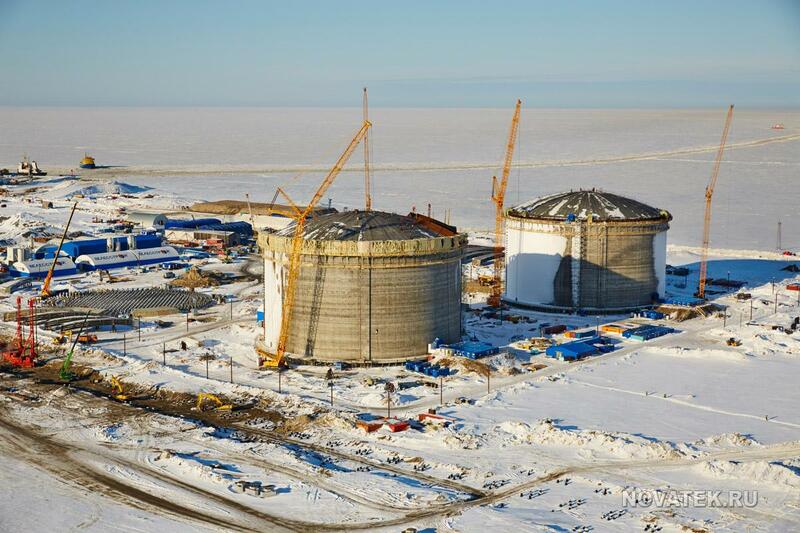 Image: The $27bn Yamal LNG project involves construction of an LNG plant. Photo: courtesy of NOVATEK.